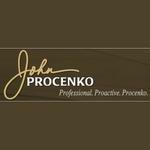 John Procenko Real Estate is a Markham, Ontario Real Estate Agency. John Procenko is the founder of the company. He has more than 27 years real estate experience selling Markham-area homes and commercial properties. Products Carried: John Procenko Real Estate is a real estate agency located in Markham, Ontario. John Procenko Real Estate consists of dedicated Markham Ontario Real Estate Agents helping clients make smart decisions when buying or selling their homes, as well as commercial real estate. John Procenko is the owner of John Procenko Real Estate.